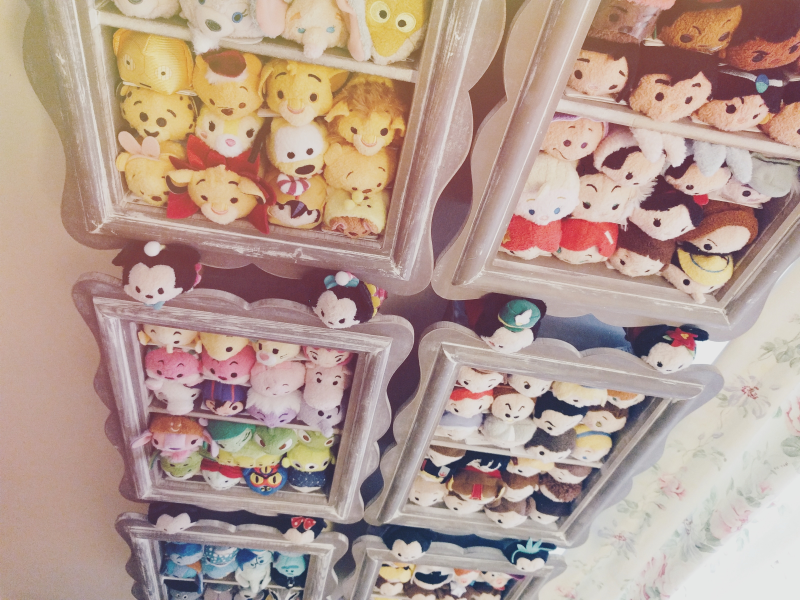 Luckily I came across these shelves from Dunelm Mill (search "shadow box" on their website) which happen to be the right dimensions for fitting Tsum Tsums in! As my collection has expanded I've been able to buy more shelves to accommodate them so it's worked out pretty well luckily. 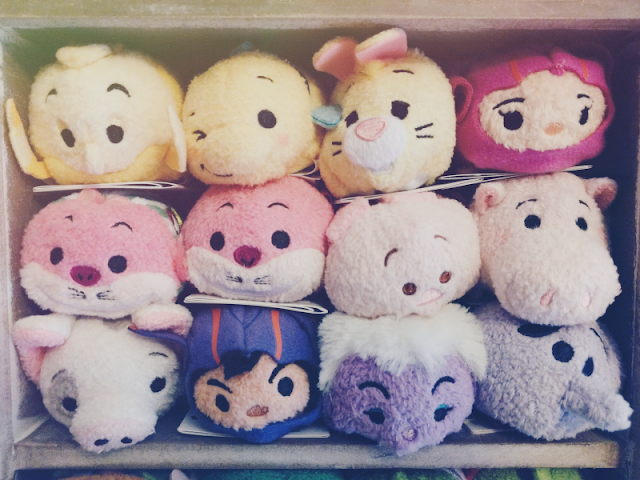 The major downside however is the price - they're £14.99 each so you can only imagine how much I've spent on mine! My only solace is that if I ever go off Tsums at least I'll be able to re-use these shelves throughout my home for storage haha! If you've got a small collection then I'd still recommend getting the shelves from Dunelm Mill, but considering how large my collection of Tsums has turned out to be, if I could start my shelving over again I think I'd definitely get the large wooden heart shelf that The Range does (search for "wooden heart shelf"). 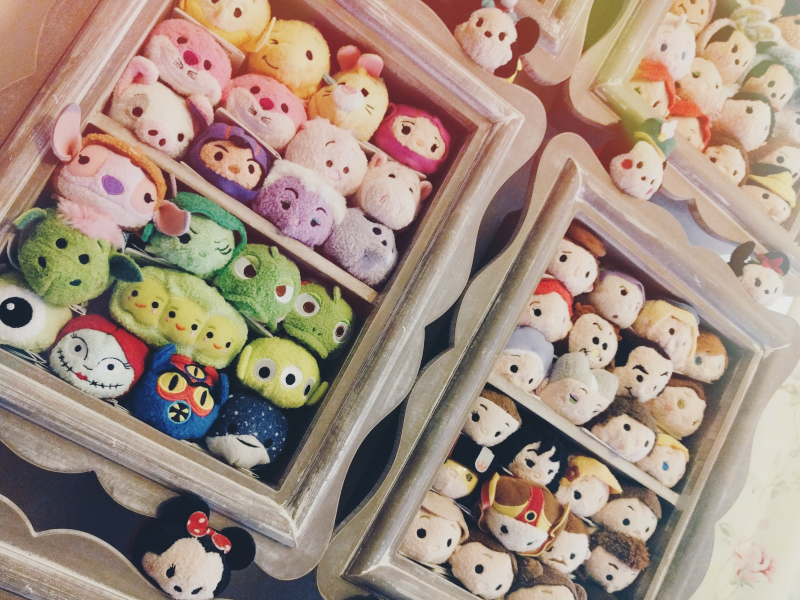 Victoria from Accio Victoria stores her collection in one of these and as you can see from her Instagram picture of it here, not only does it store loads of Tsum Tsums but it also looks super adorable! It is fairly pricey at £49.99 but when you consider how much I must have paid for all my shelves, there's no contest! 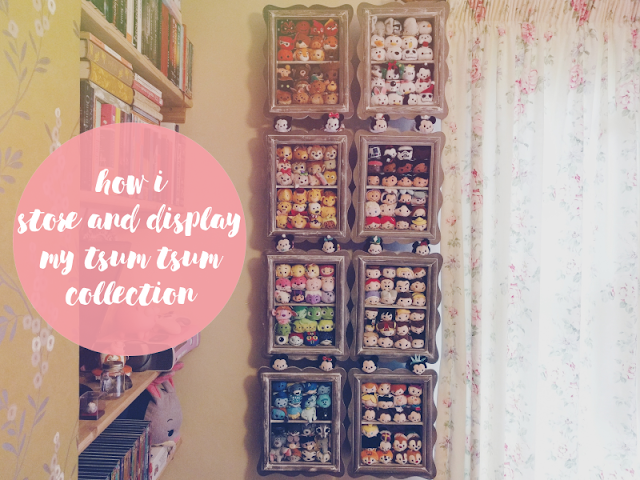 I hope this helps anyone who is new to Tsum Tsums, I know I was completely clueless on how to store mine when I first started!